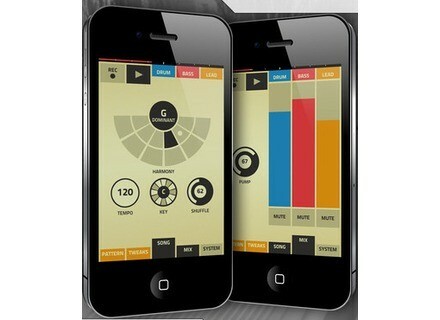 Figure, Workstation, DAW or sequencer for iPhone / iPod Touch / iPad from PropellerHead. Product replaced by the PropellerHead Figure 3. 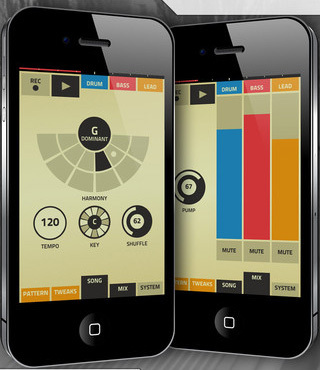 DR-BOB's review"Very nice app, but"
You can't save your song! Djlive07's review (This content has been automatically translated from French)" App excellant for a musician"
This application is only very well designed! Unlike the previous review so we can save the song! Everything is simple to understand, there is not a lot of functions, but it is enough to record a main idea in a few seconds! Otherwise it is quite tweaker sounds already present in the program to his own taste. The WIST is convenient if you own multiple iOS devices you can use them at the same time while synchronizing! With this application I made lots of tunes and chorus more than drinking! Caution It is very difficult if not impossible to finalize a song from A to Z on the application. This is NOT a DAW! With the export function I took composition and I send to Pro Tools and then do the mixing and mastering. This is the only way I could finalized my compositions. - The bank instruments could be a bit more high! + Easy to understand and clear interface. Figure was already an expensive app ($0.99), but during one week, you can get it for free.